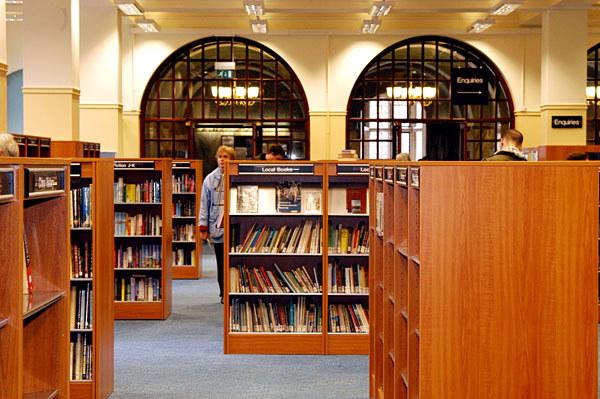 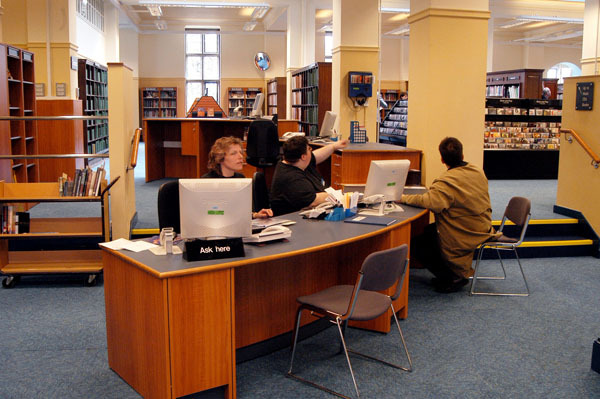 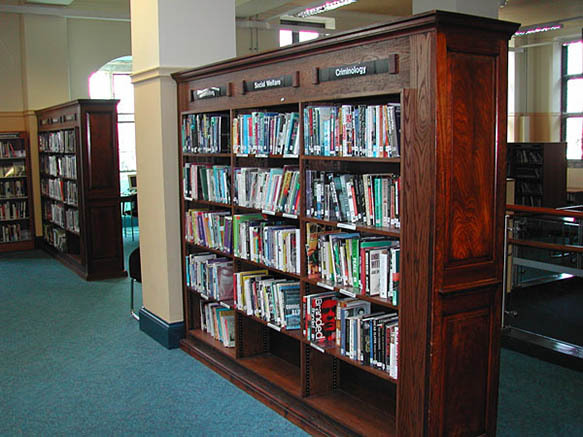 The refurbished lending library in the original 1906 Grade I listed part of the building reopened in April 2004. 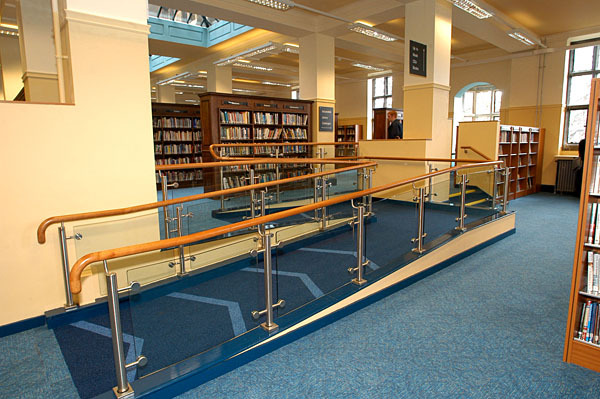 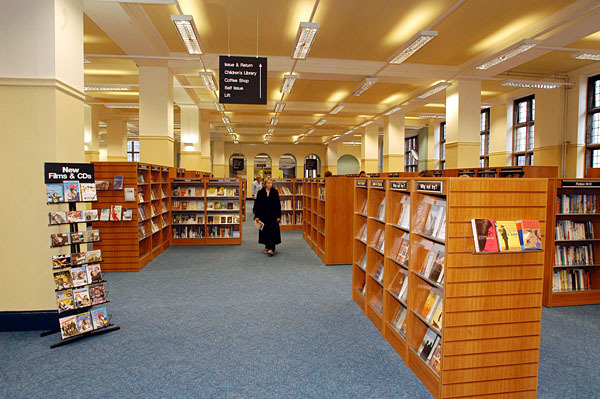 It has full disabled access including a completely new layout with fully flexible low-level shelving, accessible counters and an improved lighting system. 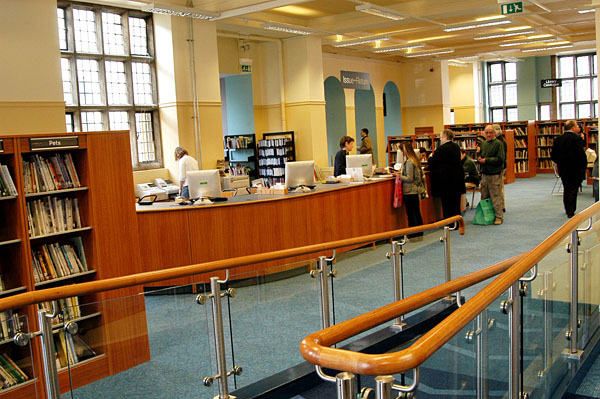 The Peoples Network provision in the building was enhanced by an extra eight terminals in the lending area.